This is another in the series of fantasy models. 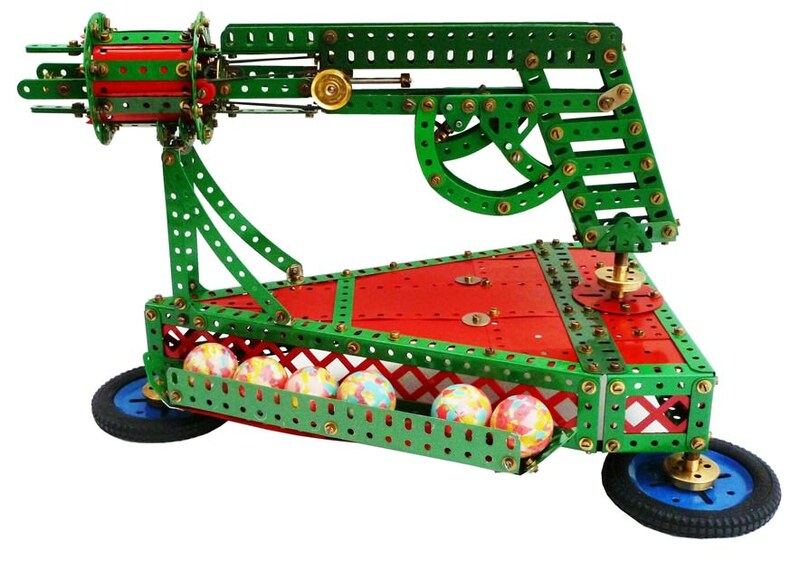 It is a fairly large pistol that uses ping pong balls for ammunition. The trigger is operated from heavy duty drive bands. Nine photos spread over eight pages help you to build the model.